We had an awesome weekend camping in Mendocino! The weather could not have been more perfect! We worked a half day on Friday and took our time driving up to the campground. We stopped for groceries, a couple beers at Anderson Valley Brewery, and for a quick dinner at a local pub. Once we made it to the campground, we spent the rest of the evening sitting around the campfire visiting. On Saturday, the girls spent the day lounging on the beach with the pups. Four of the guys went abalone diving, while the other part of the group ventured off to a lighthouse nearby. The divers were successful and ended up getting 10 abalone and a handful of sea urchin! We were all set for a feast later that night! After lunch, a few of us went for a little walk along the coast up on the rocky bluffs. Andrew had done the same walk on this trip last year (I was in Vegas for a girls trip), and he wanted to go back with me. It was so beautiful! I couldn't believe the aqua blue color of the water, you don't see that very often in Northern California. Whaler, Kia, and Louis...the campsite mascots! After our walk, we headed back to the campground. 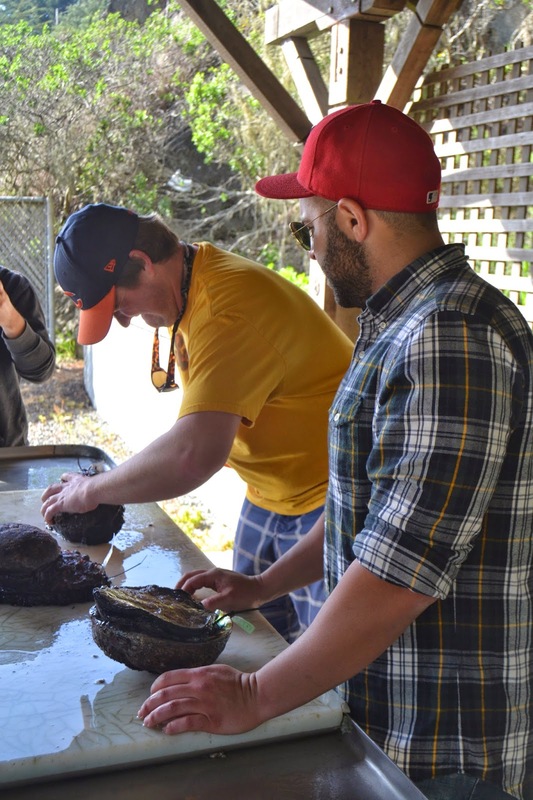 It was time to prep all the abalone and sea urchin the guys caught that morning! 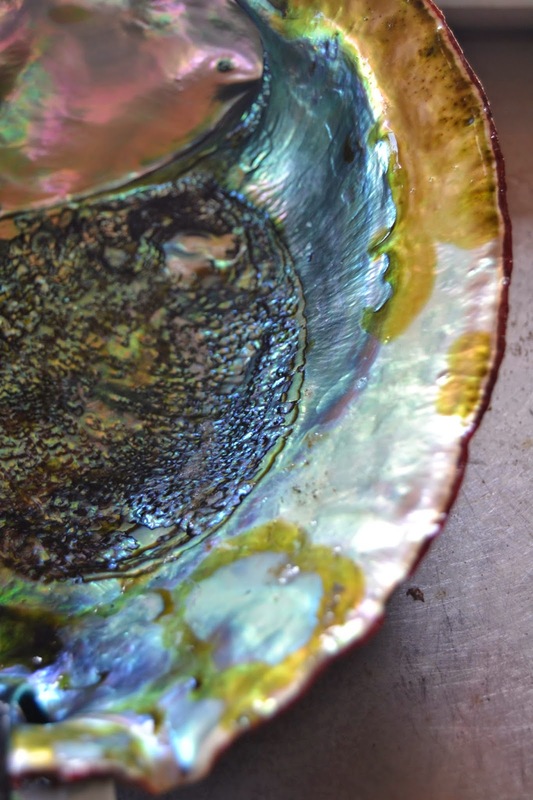 I've eaten abalone before, but never been as involved in the prep that goes into it. It's a lot of work! But so worth the effort, and kind of fun too! 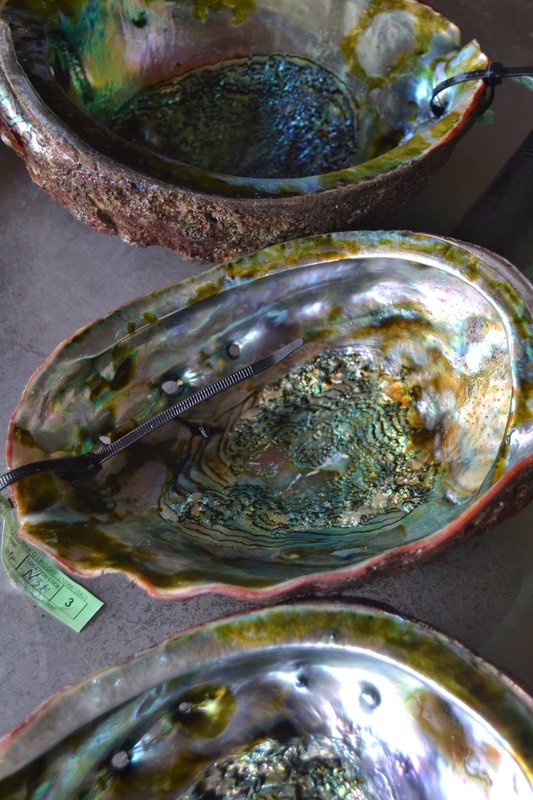 Once the guys got the abalone out of the shell and cleaned, they cut it into smaller pieces. Then we all helped pounding it to tenderize the meat, which was a messy job but actually fun! There was a ton of meat, one of the abalone Corrie caught was over 10"!! 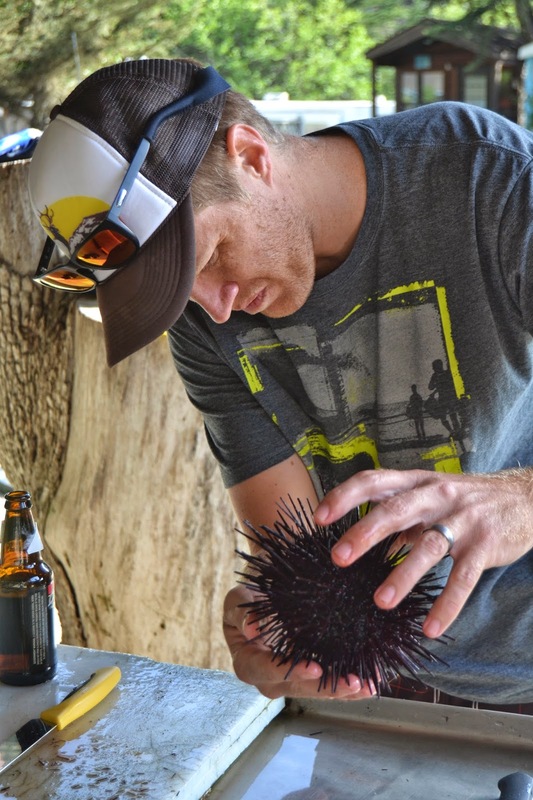 In college, I worked at a sushi restaurant and was always so grossed out when people ordered uni/sea urchin. But I figured, there was no time like the present to try it. I doubt I'd ever find it that fresh in a sushi restaurant! I only had one bite, and it was much better than I expected. Very salty, but the texture wasn't as bad as you'd think. You still won't catch me ordering it anytime soon, but at least I can say I've tried it now. It was also really interesting to see how they got the meat out, it was a labor of love, that's for sure! Once we were all finished with the messy part, it was time for our huge abalone feast! Corrie brought everything we'd need to deep fry them with both a panko and beer batter. It was so amazing! I think the panko was my favorite, but heck I'll take it any way you serve it! We spent the remainder of the night sitting around the fire hanging out. It was the perfect way to end our camping trip! The next morning we were up pretty early and got our campsite broken down and the cars loaded up. 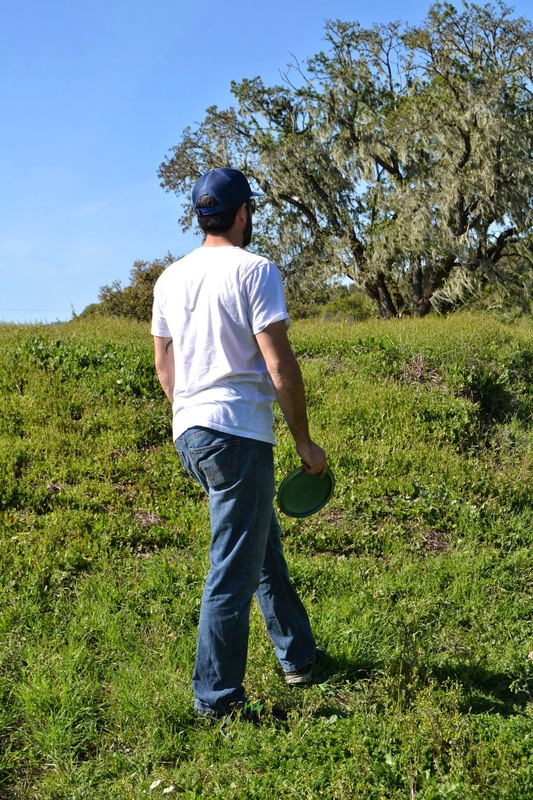 We decided to explore the Anderson Valley on our way home and hit up a few local wineries, grab lunch in Bonnville, then end with a session of Frisbee golf at Anderson Valley Brewing! Our first stop was at Navarro Vineyards. I was really excited to go here, because I went to college and studied in Rome with the daughter in law of the owners. We actually had her baby shower there, and I remember loving the wine. They're also pretty well known for their grape juice, so that's fun if you don't drink or the designated driver gets thirsty! The grounds are beautiful and you can bring a picnic or purchase cheese and crackers to snack on. It's definitely a must if you're in the area! The next stop on our tour was at Goldeneye Winery. The grounds here were incredible, and the wines were equally as delicious. We sat outside for our tasting since it was such an amazing afternoon. The tasting was $15 and they served us 7 different wines! We all really enjoyed this location. Since Andrew was driving he just tasted a few sips from my pours, but we can't wait to go back. Next time I hope to order a cheese platter or bring some snacks and spend some time relaxing outside taking in the view. I also noticed a pizza oven outside, so maybe they fire that up sometimes and serve that as well? Incredible view from the tasting patio! The final stop on our Anderson Valley tour was back to the Anderson Valley Brewing Company. They have a Frisbee Golf Course, so the boys were eager to play. We started off inside with a beer, then headed out on the course to walk along with the guys. Another great part about this brewery is that it's dog friendly! Louis enjoyed sitting inside as we sipped our Brother David's Triple and even met a few puppy friends. It was great the dogs could walk along the frisbee golf course with us, too. Extra points for being dog friendly! Overall it was a great weekend! As always, it went by much too quickly. I'm already looking forward to our next trip up to Mendocino and the Anderson Valley. I'd like to camp along the coast again, but next time do more hiking and exploring during the day. Andrew and I were also saying it'd be fun to go back to Boonville and spend some time at the brewery and nearby wineries! Not only did the Brewery have firsbee golf, but you could bring picnics and play horseshoes as well. One could easily spend an afternoon here. I love Anderson Valley. It's SO beautiful. David & I did a day trip up there in January and loved it. We can't wait to go back when he's finished with school. 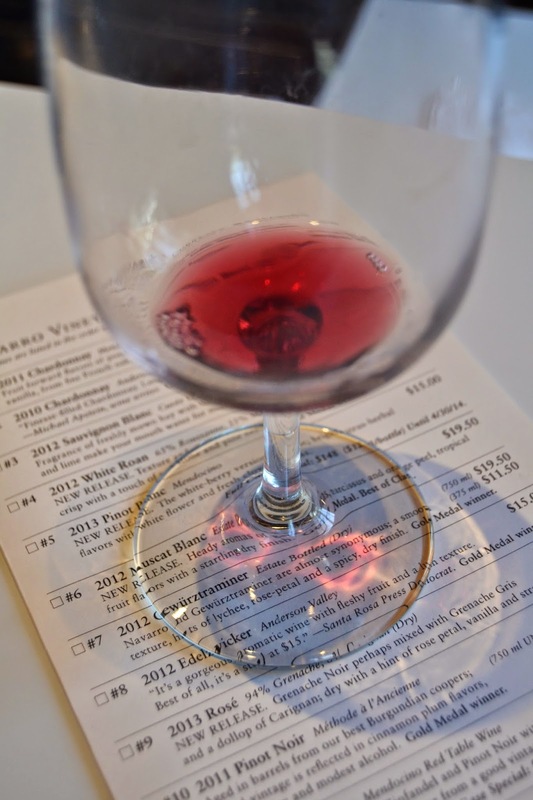 I realllllyyy want to go to Navarro Vineyards. Your weekend out there was gorgeous. I can't believe it but I am not a fan of abalone, like at all! I always try it but I think it's a texture thing. I've yet to have it good, even when people say "this is the best way I've ever had it!". haha. Such gorgeous pictures...looks like you picked an amazing time to go! This looks like a ton of fun! I wish we would go on a camping trip. And those abalones, just read an article about them and how difficult it is to clean them Have to try it some day. Great trip! Hmmm, I've never had abalone before. I'm a little ashamed to say that I'd never heard of it before until I read this post. What does it taste like? So glad that you had such a great weekend! 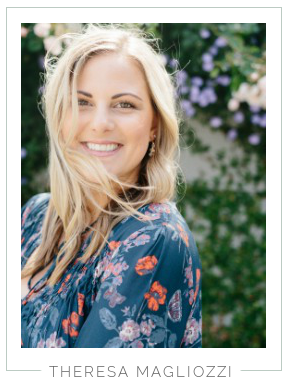 Your pictures are beautiful, especially from your winery visits! beer batter everything please! this weekend looks perfect. Alright this post makes it official we NEED to hang out. David loves to Ab dive in Mendo and I love to eat it!! Camping blogger blate? What a fun weekend!! The photos are beautiful!! and Louis...he just kills me. he is such a big baby. so cute! First: I loved your DIY project with the Measuring Board!! So very cool! I love the way you have pics to help guide as I am a visual learner! Second: WOW!! What a fantastic weekend!! The pics are divine!! Makes me wish I could go to the beach in No.CA soon! Thank you for sharing such a great weekend!!! Loved reading it!!! so fun! what campground did you stay at! i wanted to go camping for my birthday this weekend but 1. the weather is going to be crappy and 2. i had no idea we had to book campgrounds so far in advance! !